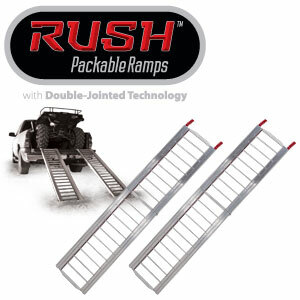 Ordinary folding ramps, even when folded, present a storage problem when not in use. 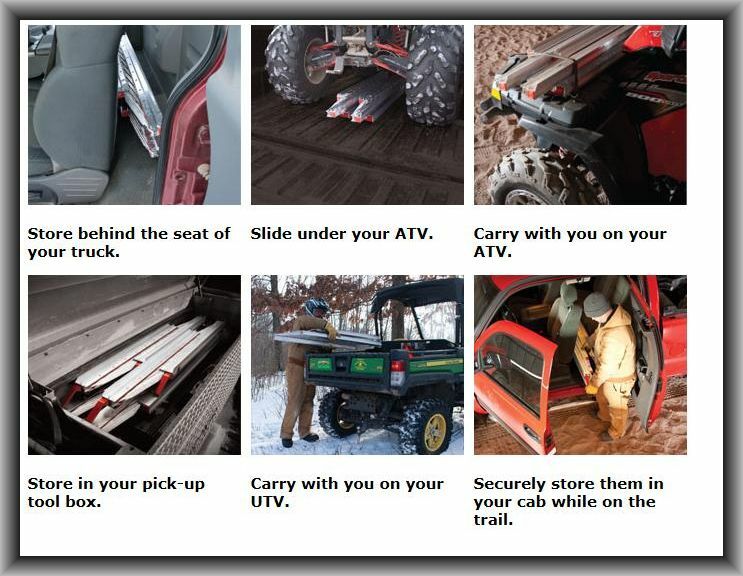 They may not fit in your trailer; they likely won’t fit in the bed of your truck; and they almost certainly won’t fit inside your truck (where they are safe from theft). 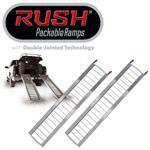 RUSH™ Packable Ramps, thanks to patented Double-Jointed Technology, will fit where ordinary folding ramps won’t! 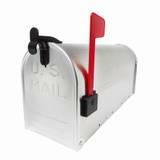 Open dimensions: 76”L x 15.3”W x 3.8”D.